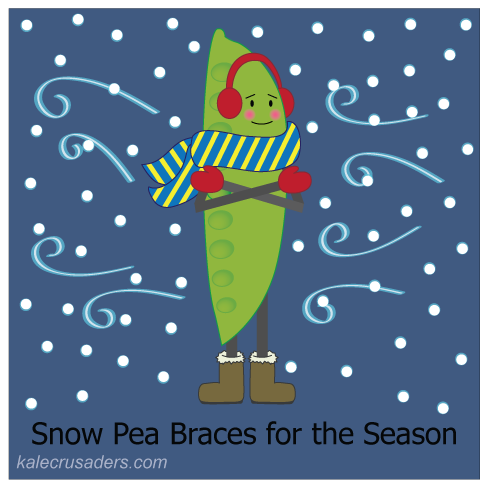 Snow Pea is a little sad to see the colorful autumn leaves fade, but he's super-excited for the promise of winter fun. 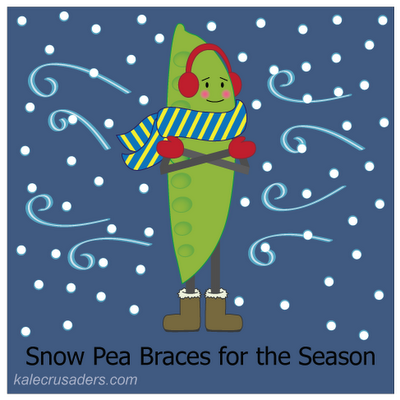 Sipping hot cocoa, sledding, and building snow(pea)men are just a few of Mr. Pea's favorite cold weather activities. For those of us who prefer to escape the cold weather and seek refuge in the kitchen, you are in good company with miso vinaigrette snow peas, snow pea salad, stir-fried snow peas, red pepper and shallots, snow peas with mustard seed paste, and snow peas, tofu & ramen stir fry. If you're in the northern hemisphere, stay warm, and if you live anywhere, stay fed!